COLUMBIA, S.C. — The mixed-race daughter of the late U.S. Sen. Strom Thurmond who kept her parentage secret for more than 70 years to avoid damaging his political career has died. Essie Mae Washington-Williams was 87. Vann Dozier of Leevy's Funeral Home in Columbia said Washington-Williams died Monday. A cause of death wasn't given. 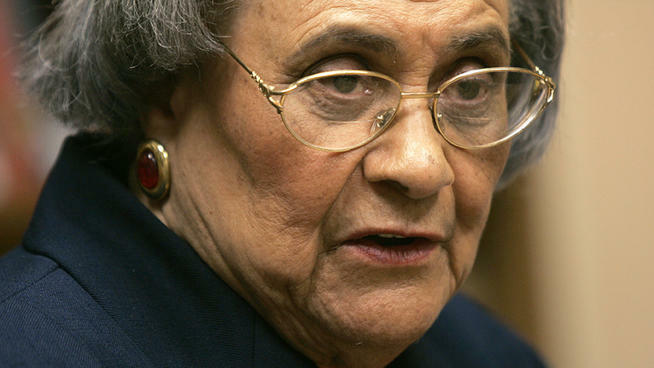 Washington-Williams was the daughter of the one-time segregationist and his family's black maid. Categories: Essie Mae Washington-Williams, R.I.P.